When Lyndsay from Living With CMPA asked if anyone would like to review her allergy friendly recipe ebook for children, I jumped at the chance! We’ve been stuck in a bit of a dinner rut, so I love looking at recipe books for new inspiration and meals to add to our favourite dinners. The book is divided into six chapters which cover weaning an allergy baby from first tastes to toddler age. Each section is clearly noted on every page for easy reference. The book starts with a contents which lists every recipe included in each chapter. There is a handy list of useful resources for both the UK and worldwide. These are hyperlinked for the readers convenience. The recipes are organised into sections: Smooth Purees, Textured Purees, Finger Foods, Toddler Recipes, Smoothies and Desserts. Clearly set out and well explained, the recipes are easy to follow. Some recipes also include hyperlinks to lists of possible allergy alternatives, for example dairy and soya free cheese. Some also offer links directly to the online stores to buy the alternatives which makes sourcing the ingredients easier. 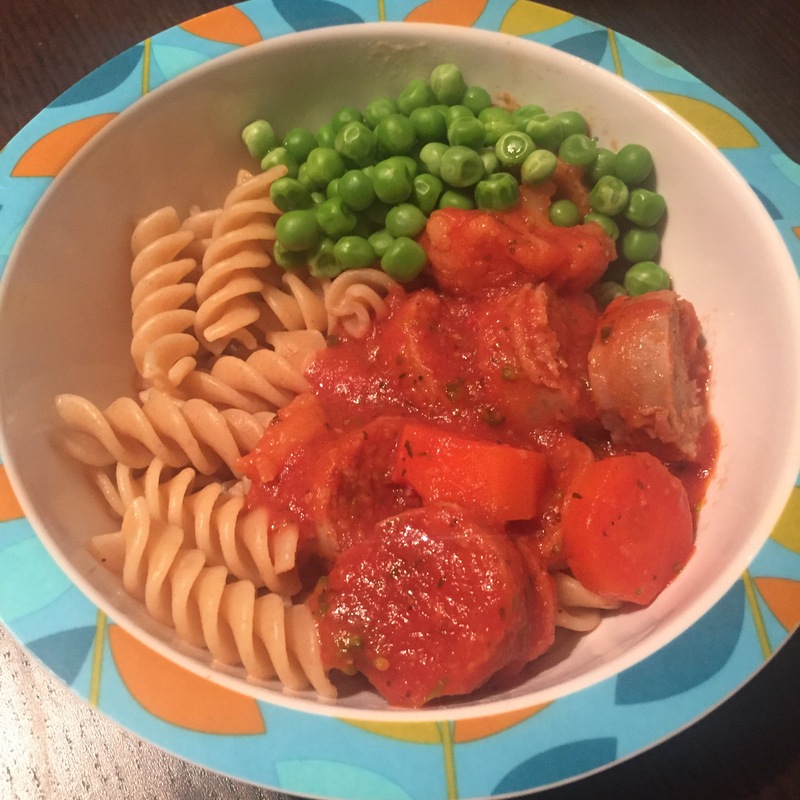 The recipes are simple with no frills which is perfect for busy parents or carers. I made three of the toddler meals for my whole family. We tried Creamy Chicken, Sausage Casserole and Lamb Tagine. Each dish was easy to make. 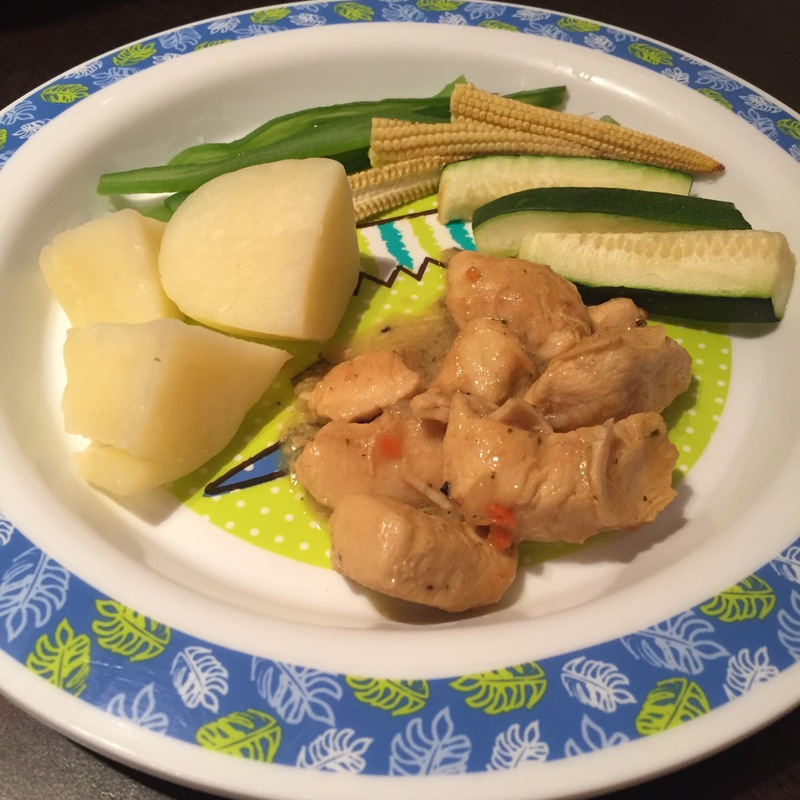 The Creamy Chicken would be an ideal midweek dinner as it was quick and simple. Whilst the Sausage Casserole and Lamb Tagine were simple, especially the Sausage Casserole which was a chuck it in the slow cooker job, they did require a longer cooking time. All the ingredients were readily available from larger supermarkets and most I had already in my cupboard. 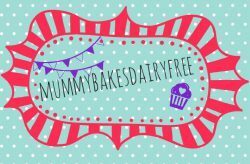 I noticed that some of ingredients required in the other recipes are not so accessible from supermarkets, however Lyndsay suggests websites you can purchase them from. Most are also available from health food shops. Down to the important bit- the Grown Up and Kid Test! As we all eat together as a family it is important that the meals I cook pass both the grown up and the kid test. The Creamy Chicken and Sausage Casserole were definitely universal favourites. This is probably due to little one being familiar with these tastes already. 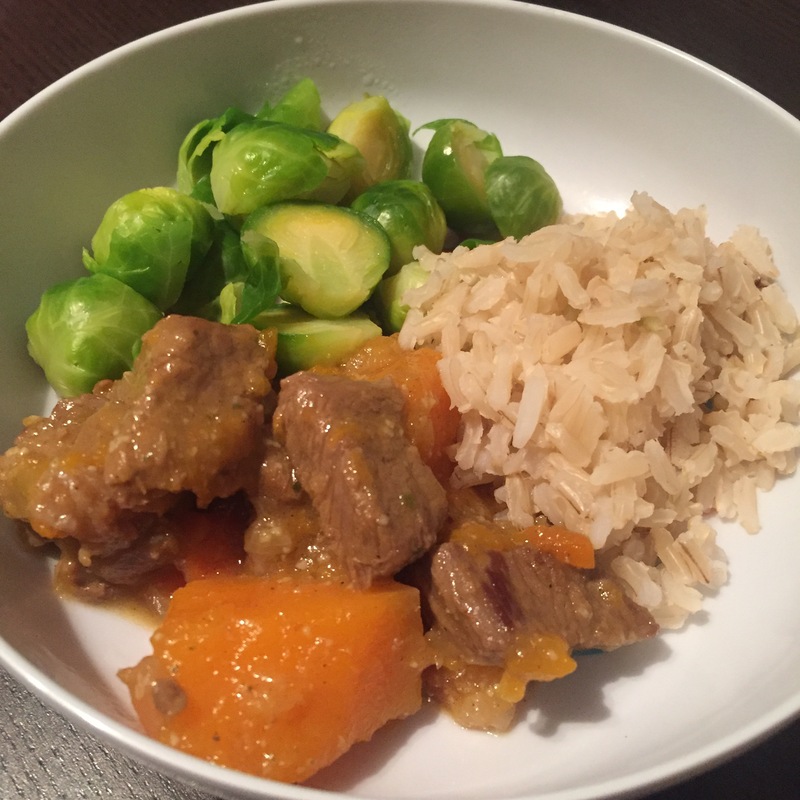 We rarely eat lamb, and apricot was a new taste for little one, so the Lamb Tagine wasn’t an instant hit. From my point of view it was a great way to introduce little one to new tastes, however I think it was a little too sweet for her. I also liked how straightforward and inexpensive the recipes were and that there wasn’t mountains of ingredients. I found the recipes simple to double up so that it fed the whole family and provided the next day’s lunch for little one. The recipes were also adaptable to different allergy requirements and tastes. As previously mentioned all the recipes are dairy, egg, soya, wheat and gluten free which is brilliant for us. A few use nuts, in particular almond flour, milk and ground almonds, in the baking recipes. As we can tolerate wheat and gluten, I can easily substitute the almond flour for wheat flour, almond milk for oat milk and ground almonds for ground rice. It would mean that the flavour would be different however as an allergy cook it is something I am used to. 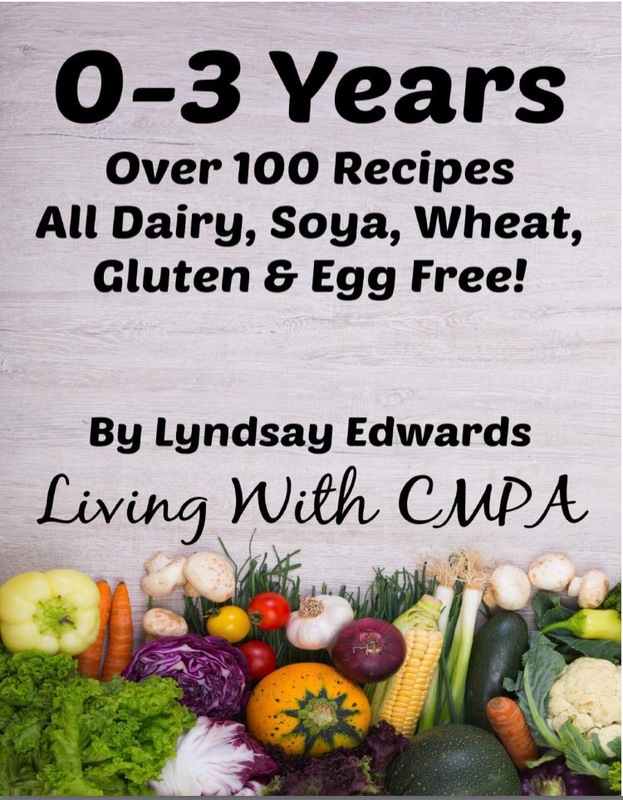 Lyndsay’s book is available from her website Living With CMPA for £6.99. The book has over 100 recipes and a full list of the recipes included can be found on her website. You can also find a 30 Day Meal Plan recipe book for £9.99. The recipes are dairy, soya, wheat and gluten free, and have 30 breakfast, 30 lunches and 30 dinners, suited for adults. Both books are e-books and a link is emailed to you after purchase. So would I recommend it? Yes! This would be the perfect recipe book for anyone cooking for a child with allergies, especially multiple allergies. It offers recipes from first tastes through to toddler meals. Introducing food to a baby with allergies can be a minefield, so this book goes a long way to help.